Snuggling inside a comfy blanket on the sofa with a warm drink on a blustery chilly day sounds wonderful. But as temperatures drop and daylight hours diminish, resist the urge to enter a state of hibernation. Remember that it's still important to get outside! That's because humans aren't designed to spend the entire day inside. We need to spend time outside to stay healthy and happy. Sunlight (especially in the morning) improves mood and regulates circadian rhythms. 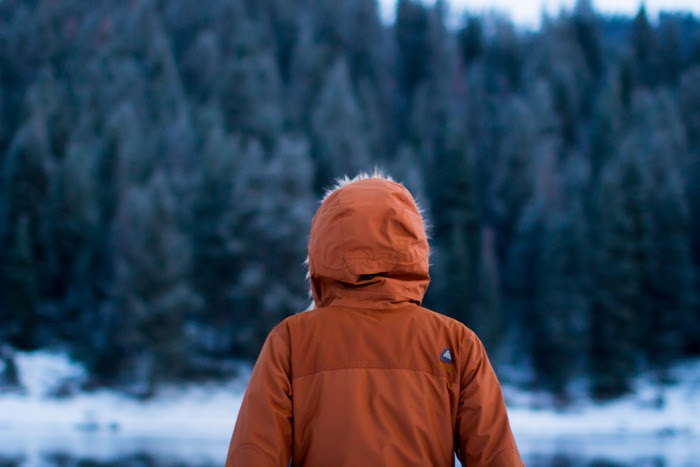 Being outside promotes good vision by protecting against myopia. Plus, the air is cleaner! According to the EPA, "a growing body of scientific evidence has indicated that the air within homes and other buildings can be more seriously polluted than the outdoor air in even the largest and most industrialized cities." Getting outside is especially important in the digital age because time outside seems to counteract many of the negative effects of screen time. Researchers have found that time outdoors boosts physical and mental energy (by as much as 40 percent), while time indoors has the opposite effect. Time outdoors improves mood and mental health, diminishes sensations of pain, and reduces mild attention-related disorders in kids. The benefits of spending time outside in natural spaces are even greater. Time in nature boosts immune function, improves attention and memory, relieves anxiety and depression, and extends life span (see more benefits here). One of my favorite ways to get outside year round is to exercise outside. Whenever I'm debating whether to do a favorite exercise video or go for a walk or bike ride outside, I always opt for the outdoor option (weather and air quality permitting). Even if I don't feel like going for a walk or bike ride outside and I'd rather do the video. That's because I know that exercising outdoors is better for you than exercising indoors. People who exercise outdoors tend to exercise longer and more often than those who exercise indoors. They perform more strenuous workouts, but feel as if they have exerted themselves less than when they workout indoors. Exercising outdoors also involves changes in terrain and wind resistance that challenge your muscles in novel ways that cannot be replicated on an indoor exercise machine. Last but not least, participants in outside activity report greater enthusiasm, self-esteem, and energy levels and lower levels of tension, depression, and fatigue compared to persons exercising indoors. 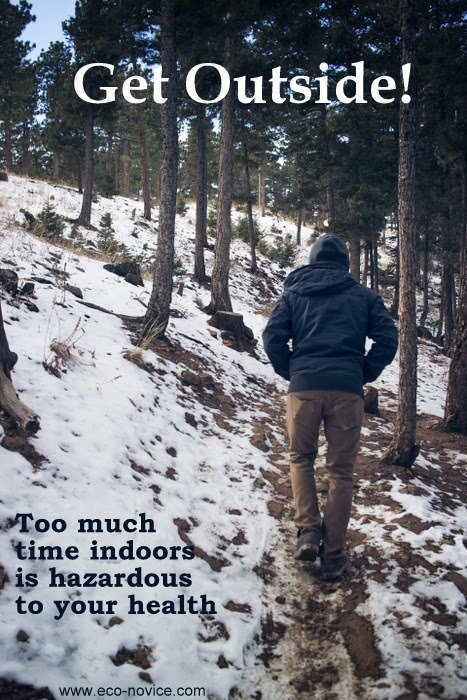 So this winter, challenge yourself to spend at least 30 minutes outside every day. Your health and happiness are worth the effort. Great reminders! I've been walking outside a lot this fall but we are about to get our first snow tomorrow - and that definitely makes it harder. It's one of the toughest things about living in a northern state (Minnesota). Sometimes I just stand on my front porch and breathe in the cold, crisp air - just to get a break from indoor air. Great points! It is alway so easy when the weather gets cold to retreat indoors.